Vena System is a new binary options trading product by Marc Vena. According to Marc traders can expect to earn $210,000 per month with his auto-trading program. Today we are going to analyze this program and let you know if any of the claims being made are realistic. The initial impression the sales page for the Vena System gives off is poor. The first thing we are greeted by is a bright yellow Lamborghini and the promise of short-order millions with no effort. If this doesn’t sound like a get-rich-quick scheme to you then you need to dial up your skepticism a little bit. Trust me, it will only help to protect you from binary options scammers. This software looks minutes away from being on the lower rated binary options software section of the Binary Today web-site. The entire story behind this software is fabricated. There is no Marc Vena associated with the binary options market. You can research until you are blue in the face and you won’t find out anything different. This is not good for the Vena System because the entire fabric of the product is weaved through this story. In the members area there is a section dedicated to Marc’s supposed “live account” that’s updated every hour. Yet, if you look closely you will see that the software is making trades that don’t exist. There are over 20 trades this past weekend that happened when the markets were closed. Which means, these are fake results. It really doesn’t take a genius to figure that out either. It’s clear that the people behind the Vena System aren’t binary options traders. A real trader wouldn’t make such a pathetic mistake. The entire purpose of this sales page is to get you to sign-up with a binary options broker. After registering you will be quickly escorted to a page that will push you to deposit funds with 23 Traders. This is not a regulated brokerage and there are a handful of reviews online that aren’t very positive. Avoid the Vena System. This software will bring you nothing but headaches. Every little piece of information being provided on this sales page is just a tool to deceive you. It’s extremely clear that the people behind this software haven’t traded a day in their lives and that’s not the type of people you want to be taking trading advice from. 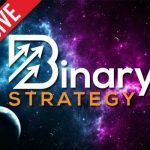 If you are new to binary options check out the Binary Options 101 guide here at Binary Today and learn how to trade the right way. Stay focused, patient and work for what you want. Don’t expect overnight riches.